According to a report published in the Archives of Pediatrics & Adolescent Medicine, children born to mothers with gestational diabetes have an increased risk of developing Attention Deficit Hyperactivity Disorder (ADHD). Children born into low-income households were also at increased risk. 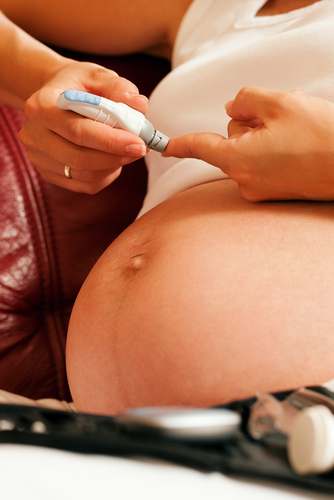 Researchers set out to establish a connection between gestational diabetes, income status and ADHD. Children were recruited from the area surrounding Queens College. There were 212 participants in total. When the study started, participants ranged in age from three to four years. Some participants were evaluated past the sixth year. Parents of study participants were given a questionnaire called the ADHD Rating Scale-IV. In some cases, teachers were asked to fill out the questionnaire as well. Children were given an overall rating based on the questionnaire results. Children with less than three symptoms were given a “typically developing” rating. Children with six or more symptoms were given an “at risk” rating. When the children were viewed as a whole, those born to mothers with gestational diabetes were more likely to exhibit ADHD symptoms, but hyperactivity scores were relatively the same across the board. As the children aged, symptoms of ADHD started developing more often in children born to mothers with gestational diabetes. By the time participants reached six years, the gestational diabetes group was twice as likely to be diagnosed with ADHD. Children in the lower income group consistently experienced more symptoms of ADHD. When researchers placed children born to mothers with gestational diabetes and a lower income into the same group the group showed lower IQ scores, difficulty communicating, emotional problems and behavior problems. In all, children born into this group were 14 times more likely to be diagnosed with ADHD than peers born to mothers who did not have gestational diabetes living in more affluent circumstances. Researchers concluded, "This study demonstrates that children of mothers with GDM raised in lower SES households are at far greater risk for developing ADHD and showing signs of suboptimal neurocognitive and behavioral development. Since ADHD is a disorder with high heritability, efforts to prevent exposure to environmental risks through patient education may help to reduce the nongenetic modifiable risk for ADHD and other developmental problems." Source: Yoko Nomura, PhD, MPH; David J. Marks, PhD; Bella Grossman, MA; Michelle Yoon, BS, BA; Holly Loudon, MD, MPH; Joanne Stone, MD; Jeffrey M. Halperin, PhD. Archives of Pediatric Adolescent Medicine. 2 January, 2012.